New parents have a lot of stress and it can be difficult to know if you are doing the best thing for your baby. How much should you feed your baby? Are you overfeeding? Has your baby's caregiver fed him or her while you are working? BlueSmart can provide the answer to these questions with a product that is easy for everyone to use. BlueSmart Mia helps make you a better parent. The Mia is a sleeve, made from the material used for pacifiers making it easily washable, that can fit over any bottle. 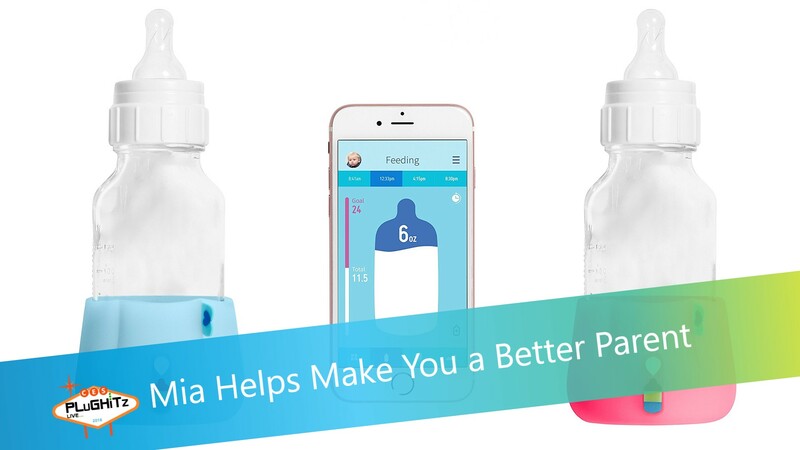 Using technology, hidden at the bottom of the product, the Mia can help keep track of when your baby has been fed and how much. Mia connects to a phone app through Wi-Fi, meaning the phone does not need to be close to sync the data. It keeps track of when the baby was fed and how many ounces the baby drank. The app can be used to keep track of your baby's milestones, height, weight, diaper changes and much more. Share the information in the app with caregivers, family members and your pediatrician. Mia is on the market now and is priced at $149.